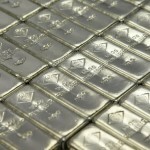 Many investors would like to purchase their silver bullion in bulk. How you define bulk is completely up to you, but anything over 20 or so ounces at a time would be considered relatively sizable. If you are a serious silver buyer, chances are that you will be making a number of orders that well eclipse this mark, so it is vital that you know what the best ways are to go about obtaining large amount of silver. Theoretically, any form of silver bullion could be obtained in bulk form. There are even coins made that weigh a kilo or more. Needless to say, though, most coins are 1 oz., most bars are 10 oz. or less, and rounds are generally 1 oz. as well. In terms of density and storage, the easiest option for most investors is to buy bars. Bars are very easy to store, are closest to spot price, and are not difficult to find. When you are taking storage space into consideration as well as general maneuverability, coins and rounds are largely indifferent. Though bars are going to be more manageable in bulk than anything else, this is not to say that coins and rounds are some sort of massive hassle. Coins can be bought in tubes and even monster boxes. A tube of coins almost always contains 20 items, whereas a monster box may hold anywhere from 200 to 500 pieces each. It should go without saying that most people will be going after the tubes, while only the absolute biggest buyers will chase after the monster boxes. There are a handful of reasons why buying in bulk is better than making smaller purchases. First, if you are using silver as one of your primary investment vehicles, you don’t need to be told that it is one of the best places to put your paper money. In the end, the more the better. There is no point in owning just a little bit if you are fortunate enough to have the capability to actually buy a ton at once. The odds are definitely in your favor with bullion when it comes to long term investments and you will only be increasing your ultimate levels of profitability and wealth protection when you buy in bulk. The best argument for buying silver in bulk is that it will save you money. If you buy 20 coins, you will pay less per oz. than if you buy one or a few coins. To expand on this, a 200 coin order will be at an even further discounted price than what you will find with 20 coin orders. Say that an American Eagle is priced at $3 over spot per ounce. If you buy 1-10 coins, you will most likely end up paying the full $3 premium on each item. If you instead choose to buy a tube, you may be able to work your way into a discount where you are only putting out $2 or $2.5o per coin. While this may not seem like a huge amount of savings at first glance, it will most definitely add up over time. One of the easiest ways to add to your bottom line profits is to cut your costs whenever possible. Bulk buying is something that can be implemented in everyday purchases, and silver is no exception to this rule. Now, if you do not have a lot of money to spend, buying your silver in bulk is not really an option. In this case, you should look for the best ways to save money when buying smaller quantities of silver. If you do eventually have the opportunity and ability to buy your bullion in bulk, though, refer to this article for some tips to save yourself some money so that you can buy even more silver down the line.